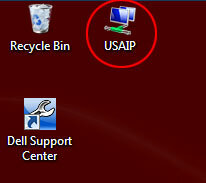 Find the USAIP icon on your desktop and start it. 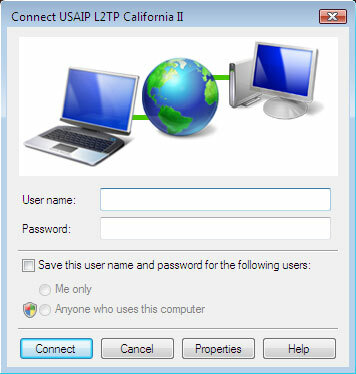 Select your location and connection mode (PPTP or L2TP) and click connect. L2TP is more compatible with current routers and network equipment than PPTP. 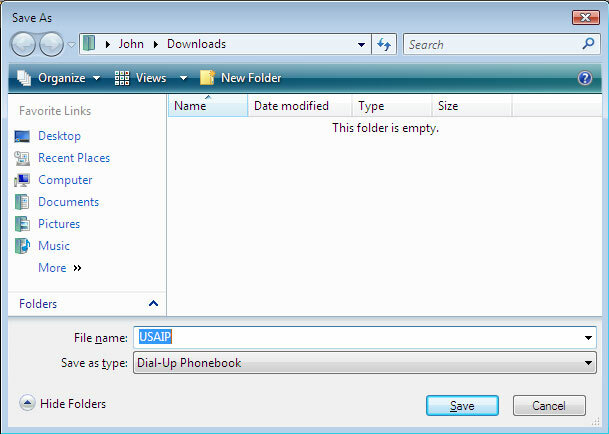 Type in your username and password and click connect. 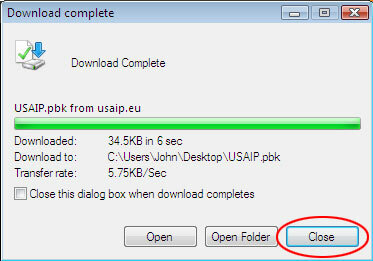 If you want to disconnect, find the USAIP icon and start it. You will see that your active connection is already pre-selected. 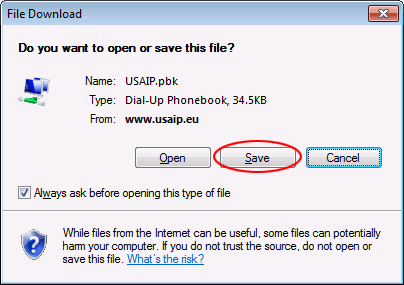 Click hang-up.